Companies consistently choose Moreno Valley because we deliver. The City of Moreno Valley is committed to both growing and maximizing the success of local businesses. The Economic Development Team provides connections, tools, data, and programs to support companies with their business needs. Support ranges from site selection and navigating the development / permitting processes to fulfilling your business’ workforce recruitment needs. It’s all about location. When you’re leasing space, purchasing an existing building, or developing raw land, check the City’s featured properties and critical data collected to help you pick the right spot for your investment. Then, query our online property database for available sites. As always, we stand ready to help – Call us at 951.413.3460 or email us at EDTeam@moval.org. Review the City’s current Fee Schedule. Use the City’s GIS Map Viewer to find out where your business can operate. Check the permitted uses for each zone to confirm your business fits – see the Permitted Uses Table in Title 9, Chapter 9.02, Section 9.02.020 of the Municipal Code. Business License – The Business License Team wants to help you get your business started in the easiest and quickest manner. Connect with the City’s Business License Information Center for help with licensing your new business. Call them at 951.413.3080 or send an email to businesslicense@moval.org so they can walk you through the requirements for getting your Business License and getting your business opened. Building Permit – You may need a building permit if you’re constructing a new facility or making changes to an existing structure. Connect to the Building & Safety Team’s online forms for more information. Certificate of Occupancy – You’ll need a Certificate of Occupancy if business is operating from a commercial location. Review the State’s online permitting information center for permits or licenses required throughout California. Business Portal provides general start-up, business structure, permitting, and import/export information. Permit Assistance Tool: Explore CalGold – for customized direction on permits and licenses needed for your specific business. Financial Assistance: See the financing options available to your business. Quick Start Guides: Access essential information for starting, growing, and expanding a business in California. Service Desk: Get answers to commonly asked questions. As new businesses get started within the city boundaries, there are always permits and inspections required. For the City of Moreno Valley, this review process typically includes the Planning, Building & Safety, Fire Prevention and Business License offices. To help you get started, the City created “Start-up Kits” (below) to describe the process that you will need to complete and the information that you will need to provide. To complete the permitting and inspection steps, you will need to meet with City staff in person at City Hall. These meetings generally occur on a walk-in basis. Most businesses fit into either Commercial Location or Home Based Business categories. If you have general questions about the process, please contact a member of the Business License team at 951.413.3080 or by email at businesslicense@moval.org. If you have specific questions, you can call one of the numbers below for assistance. Take advantage of our concierge service to businesses and developers. We serve as your project partner at City Hall during all phases of the site selection, due diligence, entitlement, permitting, and construction processes. If an issue arises, the ED Team collaborates with the City’s Development Divisions and outside agencies, as necessary. Let us track down solutions! Contact us by phone at 951.413.3460 or by email at EDTeam@moval.org. Hire the best talent. The City’s Employee Resource Center (ERC) operates a one-stop job resource center that provides workforce development, recruitment, and job fair support to connect Moreno Valley businesses with the right staff. Recruitment events can be hosted at your choice of location, including FREE use of the Employment Resource Center facility. These services are provided at NO COST to Moreno Valley businesses! The City also connects businesses to employee training incentives. Funded by the State of California, the ERC can connect Moreno Valley businesses with Employment Training Panel (ETP) dollars and conduct various types of customized training programs. The City of Moreno Valley contracts with the Inland Empire Small Business Development Center (IE-SBDC) to provide services for our booming small business community. Sessions are scheduled in advance and hosted at the Moreno Valley Chamber of Commerce located at 12625 Frederick Street, Suite E-3, Moreno Valley, CA 92553. Call 951.781.2345 to schedule an appointment today! The IE-SBDC also provides FREE business development workshops throughout the year for Moreno Valley businesses and residents. Whether you are a new business owner, thinking of starting a business, or have been in business for years, these workshops provide valuable information for entrepreneurs at every stage. A sampling of topics includes starting a new business, learning financial tools, email marketing, and social media. Check out the full line-up of workshops scheduled for this year! Sign-up for one of the following FREE workshops online at www.iesmallbusiness.com or call 951.781.2345 to reserve your seat today! SCORE provides Moreno Valley’s small businesses with FREE business mentoring. They also offer business workshops and webinars to Moreno Valley businesses. To register for a workshop or webinar, or to request a mentor, contact SCORE online at www.score.org. AMPAC is a non-profit Community Development Corporation, certified by the Small Business Administration, that provides financial literacy workshops to Moreno Valley businesses. 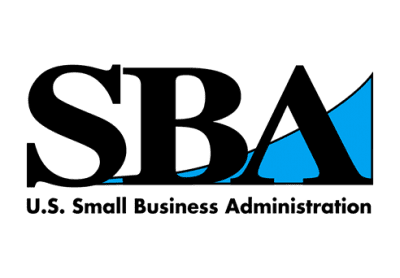 Workshop topics include how to receive an SBA loan, what banks are really looking for, and how to read and prepare a balance sheet. Please visit AMPAC’s website for additional information on workshops and services provided. “Spotlight on Moreno Valley Business” is a free business recognition program that promotes awareness about Moreno Valley’s variety of local businesses. The Spotlight is a 30-second professionally produced video created by the award winning City of Moreno Valley media team to promote your business. The Spotlight lives on the MVTV-3 YouTube Channel. Businesses receive a copy of the video on a DVD. It runs on MVTV-3 and is showcased on the City’s website for approximately two weeks. It is also posted on the City’s Facebook page. Businesses selected for the program are highlighted during a scheduled special presentations segment of City Council meetings. At that meeting, the video will be played and your City Council Member will present a certificate of recognition to the business. All businesses and nonprofit organizations with a valid City of Moreno Valley business license that occupy a commercial business location or utilize a permitted vehicle for mobile businesses are eligible to apply. The prestigious Spotlight slots are limited; the Mayor and City Council each recognize four businesses per year. Apply to be on Business Spotlight Online. City staff reviews the application for completeness and verifies the business license status. City staff contacts the business to schedule an interview/video shoot time and date. View the Council District Map to find your Council District. City staff contacts the business to schedule an interview / video shoot time and date. The Business Roundtable program promotes dialogue between the business community and City officials. Roundtables are hosted five times annually, once in each Council District. Attendees include business owners and managers representing retail, restaurants, services, non-profits, industrial, and development firms within the city. Roundtables are held at establishments located within the Council District. The meal is provided and RSVPs are required. Contact the ED Team to learn when the Roundtable is coming to your District by phone at 951.413.3460 or by email at EDTeam@moval.org. City Executive Team members and key business development staff visit Moreno Valley companies to open the lines of communication and maintain good working relationships with our business community. Based on each company’s interest, the City provides one-on-one consultations to describe City programs or services that can save the business money. To request a Business Visit, contact the ED Team at 951.413.3460 or email EDTeam@moval.org. Shop Moval and support Local Business! The City of Moreno Valley supports our retail businesses by encouraging residents and businesses to shop locally. With more than 40 shopping destinations to choose from, shopping in Moreno Valley is easier than ever! Shopping MoVal is the best way to get great deals, retain local jobs, support other Moreno Valley business owners, and expand the economic health of our City. Plus, when you Shop MoVal, your hard earned dollars help keep sales taxes in our city to help fund vital services.